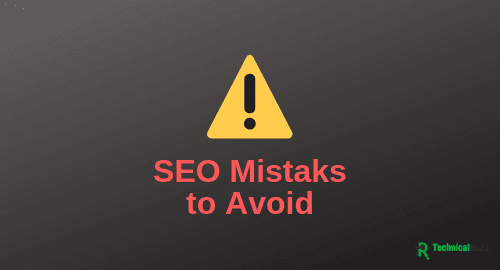 The very common SEO mistakes are done by the beginners who are new in SEO, they don’t aware of these things, they have no idea about SEO tactics. The factors of SEO changes repeatedly time to time, what works a few years ago may not work today, therefore it is important to stay informed and educated about the latest SEO factors. In this post, I will show you those factors which you have to follow for better ranking. Keyword Research is a very tricky process. Once you start doing keyword research, your interest in keyword research will grow. Some people do keyword research before starting to writing the post, some people do keyword research after writing the post and then they add the keywords in their posts. Keyword Research is the process should be done by you before writing the post. I have clear this topic in my post about how to do Keyword Research. Having copied page title and copied description is the biggest mistake many search engines hate this but some search engine cannot find a similar page title and description. The title of your page is like an SEO signal. The page title is signal for the search engine as well as readers that what is page related about. If you fail to provide them with a title that is meaningful to both (search engines and users) you will decrease your chance to ranking high on Google and other search engines and your visitors go away from your webpage. SEO friendly title is not one thing to remember this is another important thing to remember. The perfect meta description can increase your click-through rate as well as your conversion rate. The description should be unique and attractive, the main targeted keyword should be provided in the description. The description should be written in between 150-160 characters.